We specialize in the design and installation phase of landscaping with a focus on tropical, low-maintenance palms, plants, and trees. We are horticulturists, not "lawn guys". Barry’s Lawn Care is locally owned and operated. If you are wanting to create an entirely new outdoor living space, or your needs include landscape maintenance or tree services, we have expertise in each area from the design and installation to long term maintenance. We rely on our relationship with each individual customer and their complete satisfaction to accomplish these goals and as a way to stand out in our industry. 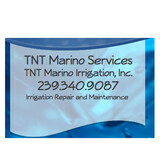 No Limit Lawn Care Inc.
TNT Marino Irrigation Inc is a family owned and operated business. We are a knowledgeable and reliable company whose main goal is to keep our customers happy. We use only the highest quality parts to ensure our customers are satisfied. We specialize in repair and maintenance of existing sprinkler systems on all types of properties including single family homes, apartment complexes and entire communities. Larue offers tree, shrub and lawn care in Naples, Fort Myers, Sanibel areas, as well as irrigation maintenance and repair to keep your landscape looking beautiful year-round. In addition to providing general pest control services, we specialize in MistAway mosquito misting systems, Sentricon termite control, bed bug treatments, and rodent control for homes throughout Southwest Florida. We believe your home and yard should be free of pests and full of life! Our solutions are designed to deliver peace of mind and a healthier, more enjoyable environment for your family to spend time in together. "Smart Solutions. Guaranteed Results." GREEN HERON LANDSCAPES has been in Collier and Lee County since it’s inception in 1973 and have over 65 years of combined experience in growing, maintaining, designing and managing horticultural plants in Florida. Green Heron Landscapes is also a complete Landscape company with Lawn Maintenance, Irrigation, Disease & Pest Control and Landscape Installation all done in house. The Company was purchased in 1996 by Richard Green and continued to grow with Southwest Florida in these booming times, transforming from our main focus of landscape installation to a main focus on landscape maintenance. 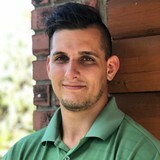 He also realized that landscape maintenance is a service oriented industry with our customer satisfaction being our “number one goal.” Through our team of account managers, we work one on one with our clients on a monthly basis so we know what our customers expect, and therefore, make sure our job is done right the first time. We manufacture a complete line of species specific plant and lawn foods, unmatched in quality and functionality; and formulated to produce instant visible results. Our team of licensed and certified technicians manages the health and beauty of your landscape using individualized care and treatment plans. Our products can also be purchased from our website. Our mission is to bring color and beauty to landscapes everywhere. You have many options to choose from when it comes to pump choices or sprinkler repair services. We are dedicated to providing you with only the best care and that means making sure that you have what you need and you aren’t given the run-around. 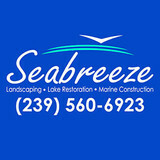 Don’t rely on the rain to keep your lawn healthy, call us! The products that you will receive are high quality. Whether it’s a submersible pump, a centrifugal pump or an irrigation system, all of our products are the best that you will find. Everything has a manufacturing warranty. Waste has a way of piling up over time. Storms or even seasonal change can leave your formerly well-tended yard looking like a war zone. When there is a carpet layer of leaves on the ground, big fallen branches, and other big messes, you may want to hire a professional lawn care service company. Our landscaping contractor knows how to do the job quickly and efficiently. Letting the debris linger is a bad idea. Not only does it look bad, it can also start to decay, which will attract bugs and other unwelcome visitors to your yard. Following a thorough lawn analysis, VM Land Services will develop the best lawn maintenance and lawn care plan for your property. We understand that each client has specific needs and all grass is certainly not the same. If you are looking to expand or remodel your property area, our landscape designer can assist in measurements, decor, and gardening to give your lawn life in regards to your needs. 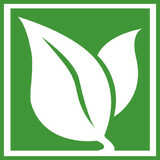 VM Land Services can perform a variety of landscaping services, which may include more specialized tasks, such as tree trimming and lawn maintenance. You can learn more about this by contacting us in Naples, FL today. The Griffith family has called the Southwest Florida area home for over 35 years and homestead in Bonita Springs, Florida. Over the years we’ve been able to provide both Lee and Collier Counties with an area of services such as site development, asphalt paving, seal coating, real estate and now lawn care. We, at Griffith Lawn Care, strive to continue providing services in Southwest Florida and contribute to the local economy. pesticides for long-lasting results. And we use only high quality, granular and liquid fertilizers for optimum plant health. map icon Qualified, Experienced Our technicians are experts in treating and preventing pests and weeds in Florida. We tailor our lawn and pest services for each application to ensure your complete satisfaction. In addition to the maintenance side of gardening, Naples Park, FL gardeners can help you with garden design and choosing specific plants and grass types for your climate and area. Find a Naples Park, FL gardener on Houzz. Narrow your search in the Professionals section of the website to Naples Park, FL gardeners. You can also look through Naples Park, FL photos to find examples of yards that you like, then contact the Florida contractor who worked on them.